Can There Be a 'Just Tax'? For centuries before the science of economics was developed, men searched for criteria of the “just price.” Of all the innumerable, almost infinite possibilities among the myriads of prices daily determined, what pattern should be considered as “just”? Gradually it came to be realized that there is no quantitative criterion of justice that can be objectively determined. Suppose that the price of eggs is 50¢ per dozen, what is the “just price”? It is clear, even to those (like the present writer) who believe in the possibility of a rational ethics, that no possible ethical philosophy or science can yield a quantitative measure or criterion of justice. If Professor X says that the “just” price of eggs is 45¢, and Professor Y says it is 85¢, no philosophical principle can decide between them. Even the most fervent anti-utilitarian will have to concede this point. The various contentions all become purely arbitrary whim. Economics, by tracing the ordered pattern of the voluntary exchange process, has made it clear that the only possible objective criterion for the just price is the market price. For the market price is, at every moment, determined by the voluntary, mutually agreed-upon actions of all the participants in the market. It is the objective resultant of every individual’s subjective valuations and voluntary actions, and is therefore the only existent objective criterion for “quantitative justice” in pricing. Practically nobody now searches explicitly for the “just price,” and it is generally recognized that any ethical criticisms must be leveled qualitatively against the values of consumers, not against the quantitative price-structure that the market establishes on the basis of these values. The market price is the just price, given the pattern of consumer preferences. Furthermore, this just price is the concrete, actual market price, not equilibrium price, which can never be established in the real world, nor the “competitive price,” which is an imaginary figment. If the search for the just price has virtually ended in the pages of economic works, why does the quest for a “just tax” continue with unabated vigor? Why do economists, severely scientific in their volumes, suddenly become ad hoc ethicists when the question of taxation is raised? In no other area of his subject does the economist become more grandiosely ethical. There is no objection at all to discussion of ethical concepts when they are needed, provided that the economist realizes always (a) that economics can establish no ethical principles by itself  that it can only furnish existential laws to the ethicist or citizen as data; and (b) that any importation of ethics must be grounded on a consistent, coherent set of ethical principles, and not simply be slipped in ad hoc in the spirit of “well, everyone must agree to this….” Bland assumptions of universal agreement are one of the most irritating bad habits of the economist-turned-ethicist. If taxation itself is unjust, then it is clear that no allocation of its burdens, however ingenious, can be declared just. 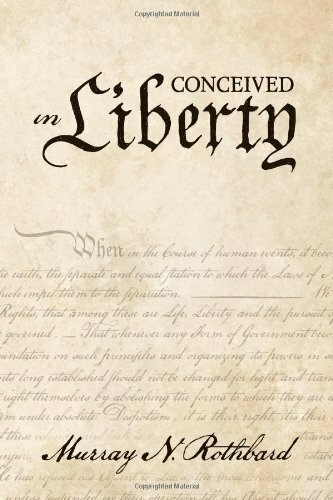 This book sets forth no doctrines on the justice or injustice of taxation. But we do exhort economists either to forget about the problem of the “just tax” or, at least, to develop a comprehensive ethical system before they tackle this problem again. Why do not economists abandon the search for the “just tax” as they abandoned the quest for the “just price”? One reason is that doing so may have unwelcome implications for them. The “just price” was abandoned in favor of the market price. Can the “just tax” be abandoned in favor of the market tax? Clearly not, for on the market there is no taxation, and therefore no tax can be established that will duplicate market patterns. As will be seen further below, there is no such thing as a “neutral tax”  a tax that will leave the market free and undisturbed  just as there is no such thing as neutral money. Economists and others may try to approximate neutrality, in the hopes of disturbing the market as little as possible, but they can never fully succeed. Even the simplest maxims must not be taken for granted. Two centuries ago, Adam Smith laid down four canons of justice in taxation that economists have parroted ever since. One of them deals with the distribution of the burden of taxation, and this will be treated in detail below. Perhaps the most “obvious” was Smith’s injunction that costs of collection be kept to a “minimum” and that taxes be levied with this principle in mind. An obvious and harmless maxim? Certainly not; this “canon of justice” is not obvious at all. For the bureaucrat employed in tax collection will tend to favor a tax with high administrative costs, thereby necessitating more extensive bureaucratic employment. Why should we call the bureaucrat obviously wrong? The answer is that he is not, and that to call him “wrong” it is necessary to engage in an ethical analysis that no economist has bothered to undertake. A further point: if the tax is unjust on other grounds, it may be more just to have high administrative costs, for then there will be less chance that the tax will be fully collected. If it is easy to collect the tax, then the tax may do more damage to the economic system and cause more distortion of the market economy. The same point might be made about another of Smith’s canons: that a tax should be levied so that payment is convenient. Here again, this maxim seems obvious, and there is certainly much truth in it. But someone may urge that a tax should be made inconvenient to induce people to rebel and force a lowering of the level of taxation. Indeed, this used to be one of the prime arguments of “conservatives” for an income tax as opposed to an indirect tax. The validity of this argument is beside the point; the point is that it is not self-evidently wrong, and therefore this canon is no more simple and obvious than the others. Smith’s final canon of just taxation is that the tax be certain and not arbitrary, so that the taxpayer knows what he will pay. Here again, further analysis demonstrates that this is by no means obvious. Some may argue that uncertainty benefits the taxpayer, for it makes the requirement more flexible and permits bribery of the tax collector. This benefits the taxpayer to the extent that the price of the bribe is less than the tax that he would otherwise have to pay. Furthermore, there is no way of establishing long-range certainty, for the tax rates may be changed by the government at any time. In the long run, certainty of taxation is an impossible goal. A similar argument may be levelled against the view that taxes “should” be difficult to evade. If a tax is onerous and unjust, evasion might be highly beneficial to the economy, and moral to boot. Thus, none of these supposedly self-evident canons of taxation is a canon at all. From some ethical points of view they are correct, from others they are incorrect. Economics cannot decide between them. Up to this point, we have been discussing taxation as it is levied on any given individual or firm. Now we must turn to another aspect: the distribution of the burden of taxes among the people in the economy. Most of the search for “justice” in taxation has involved the problem of the “just distribution” of this burden. Various proposed canons of justice will be discussed in this section, followed by analysis of the economic effects of tax distribution. 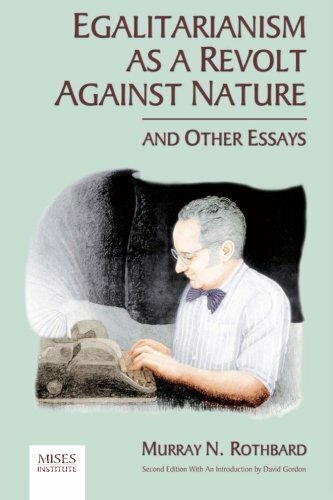 Uniformity of treatment has been upheld as an ideal by almost all writers. This ideal is supposed to be implicit in the concept of “equality before the law,” which is best expressed in the phrase, “Like to be treated alike.” To most economists this ideal has seemed self-evident, and the only problems considered have been the practical ones of defining exactly when one person is “like” someone else (problems that, we shall see below, are insuperable). All these economists adopt the goal of uniformity regardless of what principle of “likeness” they may hold. Thus, the man who believes that everyone should be taxed in accordance with his “ability to pay” also believes that everyone with the same ability should be taxed equally; he who believes that each should be taxed proportionately to his income also holds that everyone with the same income should pay the same tax; etc. In this way, the ideal of uniformity pervades the literature on taxation. Yet this canon is by no means obvious, for it seems clear that the justice of equality of treatment depends first of all on the justice of the treatment itself. Suppose, for example, that Jones, with his retinue, proposes to enslave a group of people. Are we to maintain that “justice” requires that each be enslaved equally? And suppose that someone has the good fortune to escape. Are we to condemn him for evading the equality of justice meted out to his fellows? It is obvious that equality of treatment is no canon of justice whatever. If a measure is unjust, then it is just that it have as little general effect as possible. Equality of unjust treatment can never be upheld as an ideal of justice. Therefore, he who maintains that a tax be imposed equally on all must first establish the justice of the tax itself. Many writers denounce tax exemptions and levy their fire at the tax-exempt, particularly those instrumental in obtaining the exemptions for themselves. These writers include those advocates of the free market who treat a tax exemption as a special privilege and attack it as equivalent to a subsidy and therefore inconsistent with the free market. Yet an exemption from taxation or any other burden is not equivalent to a subsidy. There is a key difference. In the latter case a man is receiving a special grant of privilege wrested from his fellow men; in the former he is escaping a burden imposed on other men. Whereas the one is done at the expense of his fellow men, the other is not. For in the former case, the grantee is participating in the acquisition of loot; in the latter, he escapes payment of tribute to the looters. To blame him for escaping is equivalent to blaming the slave for fleeing his master. It is clear that if a certain burden is unjust, blame should be levied, not on the man who escapes the burden, but on the man or men who impose it in the first place. If a tax is in fact unjust, and some are exempt from it, the hue and cry should not be to extend the tax to everyone, but on the contrary to extend the exemption to everyone. The exemption itself cannot be considered unjust unless the tax or other burden is first established as just. Thus, uniformity of treatment per se cannot be established as a canon of justice. A tax must first be proven just; if it is unjust, then uniformity is simply imposition of general injustice, and exemption is to be welcomed. Since the very fact of taxation is an interference with the free market, it is particularly incongruous and incorrect for advocates of a free market to advocate uniformity of taxation. What is a loophole? If the law does not punish a definite action or does not tax a definite thing, this is not a loophole. It is simply the law…. The income tax exemptions in our income tax are not loopholes…. Thanks to these loopholes this country is still a free country. because, as we have seen, most other taxes boil down to income taxes anyway. A tax on consumption ends largely as a tax on income at a lower rate. There are two basic reasons why uniformity of income taxation is an impossible goal. 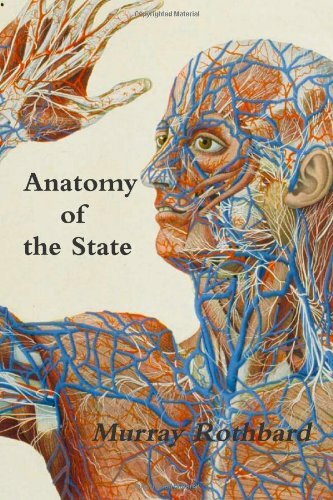 The first stems from the very nature of the State. We have seen, when discussing Calhoun’s analysis, that the State must separate society into two classes, or castes: the taxpaying caste and the tax-consuming caste. The tax consumers consist of the full-time bureaucracy and politicians in power, as well as the groups which receive net subsidies, i.e., which receive more from the government than they pay to the government. These include the receivers of government contracts and of government expenditures on goods and services produced in the private sector. It is not always easy to detect the net subsidized in practice, but this caste can always be conceptually identified. Thus, when the government levies a tax on private incomes, the money is shifted from private people to the government, and the government’s money, whether expended for government consumption of goods and services, for salaries to bureaucrats, or as subsidies to privileged groups, returns to be spent in the economic system. It is clear that the tax-expenditure level must distort the expenditure pattern of the market and shift productive resources away from the pattern desired by the producers and toward that desired by the privileged. This distortion takes place in proportion to the amount of taxation. If, for example, the government taxes funds that would have been spent on automobiles and itself spends them on arms, the arms industry and, in the long run, the specific factors in the arms industry become net tax consumers, while a special loss is inflicted on the automobile industry and ultimately on the factors specific to that industry. It is because of these complex relationships that, as we have mentioned, the identification in practice of the net subsidized may be difficult. One thing we know without difficulty, however. Bureaucrats are net tax consumers. As we pointed out above, bureaucrats cannot pay taxes. Hence, it is inherently impossible for bureaucrats to pay income taxes uniformly with everyone else. And therefore the ideal of uniform income taxation for all is an impossible goal. We repeat that the bureaucrat who receives $8,000 a year income and then hands $1,500 back to the government is engaging in a mere bookkeeping transaction of no economic importance (aside from the waste of paper and records involved). For he does not and cannot pay taxes; he simply receives $6,500 a year from the tax fund. If it is impossible to tax income uniformly because of the nature of the tax process itself, the attempt to do so also confronts another insuperable difficulty, that of trying to arrive at a cogent definition of “income.” Should taxable income include the imputed money value of services received in kind, such as farm produce grown on one’s own farm? What about imputed rent from living in one’s own house? Or the imputed services of a housewife? Regardless of which course is taken in any of these cases, a good argument can be made that the incomes included as taxable are not the correct ones. And if it is decided to impute the value of goods received in kind, the estimates must always be arbitrary, since the actual sales for money were not made. A similar difficulty is raised by the question whether incomes should be averaged over several years. Businesses that suffer losses and reap profits are penalized as against those with steady incomes  unless, of course, the government subsidizes part of the loss. This may be corrected by permitting averaging of income over several years, but here again the problem is insoluble because there are only arbitrary ways of deciding the period of time to allow for averaging. If the income tax rate is “progressive,” i.e., if the rate increases as earnings increase, then failure to permit averaging penalizes the man with an erratic income. But again, to permit averaging will destroy the ideal of uniform current tax rates; furthermore, varying the period of averaging will vary the results. We have seen that, in order to tax income only, it is necessary to correct for changes in the purchasing power of money when taxing capital gains. But once again, any index or factor of correction is purely arbitrary, and uniformity cannot be achieved because of the impossibility of securing general agreement on a definition of income. For all these reasons, the goal of uniformity of taxation is an impossible one. It is not simply difficult to achieve in practice; it is conceptually impossible and self-contradictory. Surely any ethical goal that is conceptually impossible of achievement is an absurd goal, and therefore any movements in the direction of the goal are absurd as well. It is therefore legitimate, and even necessary, to engage in a logical (i.e., praxeological) critique of ethical goals and systems when they are relevant to economics. Having analyzed the goal of uniformity of treatment, we turn now to the various principles that have been set forth to give content to the idea of uniformity, to answer the question: Uniform in respect to what? Should taxes be uniform as to “ability to pay,” or “sacrifice,” or “benefits received”? In other words, while most writers have rather unthinkingly granted that people in the same income bracket should pay the same tax, what principle should govern the distribution of income taxes between tax brackets? Should the man making $10,000 a year pay as much as, as much proportionately as, more than, more proportionately than, or less than, a man making $5,000 or $1,000 a year? In short, should people pay uniformly in accordance with their “ability to pay,” or sacrifice made, or some other principle? This principle states that people should pay taxes in accordance with their “ability to pay.” It is generally conceded that the concept of ability to pay is a highly ambiguous one and presents no sure guide for practical application. Most economists have employed the principle to support a program of proportional or progressive income taxation, but this would hardly suffice. It seems clear, for example, that a person’s accumulated wealth affects his ability to pay. A man earning $5,000 during a certain year probably has more ability to pay than a neighbor earning the same amount if he also has $50,000 in the bank while his neighbor has nothing. Yet a tax on accumulated capital would cause general impoverishment. No clear standard can be found to gauge “ability to pay.” Both wealth and income would have to be considered, medical expenses would have to be deducted, etc. But there is no precise criterion to be invoked, and the decision is necessarily arbitrary. Thus, should all or some proportion of medical bills be deducted? What about the expenses of childrearing? Or food, clothing, and shelter as necessary to consumer “maintenance”? Professor Due attempts to find a criterion for ability in “economic well-being,” but it should be clear that this concept, being even more subjective, is still more difficult to define. Adam Smith himself used the ability concept to support proportional income taxation (taxation at a constant percentage of income), but his argument is rather ambiguous and applies to the “benefit” principle as well as to “ability to pay.” Indeed, it is hard to see in precisely what sense ability to pay rises in proportion to income. Is a man earning $10,000 a year “equally able” to pay $2,000 as a man earning $1,000 to pay $200? Setting aside the basic qualifications of difference in wealth, medical expenses, etc., in what sense can “equal ability” be demonstrated? Attempting to define equal ability in such a way is a meaningless procedure. The moment you abandon … the cardinal principle of exacting from all individuals the same proportion of their income or their property, you are at sea without rudder or compass, and there is no amount of injustice or folly you may not commit. Seemingly plausible, this thesis is by no means self-evident. In what way is proportional taxation any less arbitrary than any given pattern of progressive taxation, i.e., where the rate of tax increases with income? There must be some principle that can justify proportionality; if this principle does not exist, then proportionality is no less arbitrary than any other taxing pattern. Various principles have been offered and will be considered below, but the point is that proportionality per se is neither more nor less sound than any other taxation. One school of thought attempts to find a justification for a progressive tax via an ability-to-pay principle. This is the “faculty” approach of E.R.A. Seligman. This doctrine holds that the more money a person has, the relatively easier it is for him to acquire more. His power of obtaining money is supposed to increase as he has more: “A rich man may be said to be subject … to a law of increasing returns.” Therefore, since his ability increases at a faster rate than his income, a progressive income tax is justified. This theory is simply invalid. Money does not “make money”; if it did, then a few people would by now own all the world’s wealth. To be earned, money must continually be justifying itself in current service to consumers. Personal income, interest, profits, and rents are earned only in accordance with their current, not their past, services. The size of accumulated fortune is immaterial, and fortunes can be and are dissipated when their owners fail to reinvest them wisely in the service of consumers. 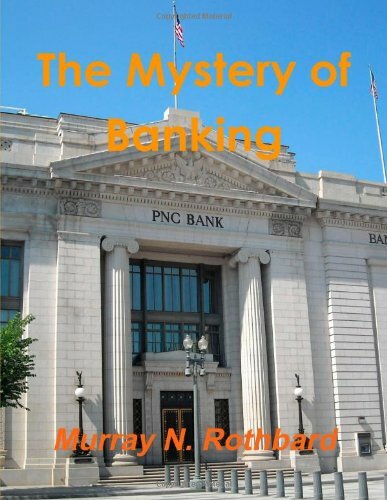 The Mystery Of Banking Murray N. Rothbard Check Amazon for Pricing. As Blum and Kalven point out, the Seligman thesis is utter nonsense when applied to personal services such as labor energy. It could only make sense when applied to income from property, i.e., investment in land or capital goods (or slaves, in a slave economy). But the return on capital is always tending toward uniformity, and any departures from uniformity are due to especially wise and farseeing investments (profits) or especially wasteful investments (losses). The Seligman thesis would fallaciously imply that the rates of return increase in proportion to the amount invested. Another theory holds that ability to pay is proportionate to the “producer’s surplus” of an individual, i.e., his “economic rent,” or the amount of his income above the payment necessary for him to continue production. The consequences of taxation of site rent were noted above. The “necessary payments” to labor are clearly impossible to establish; if someone is asked by the tax authorities what his “minimum” wage is, what will prevent him from saying that any amount below the present wage will cause him to retire or to shift to another job? Who can prove differently? Furthermore, even if it could be determined, this “surplus” is hardly an indicator of ability to pay. A movie star may have practically zero surplus, for some other studio may be willing to bid almost as much as he makes now for his services, while a disabled ditch-digger may have a much greater “surplus” because no one else may be willing to hire him. Generally, in an advanced economy there is little “surplus” of this type, for the competition of the market will push alternative jobs and uses near to the factor’s discounted marginal value product in its present use. Hence, it would be impossible to tax any “surplus” over necessary payment from land or capital since none exists, and practically impossible to tax the “surplus” to labor since the existence of a sizable surplus is rare, impossible to determine, and, in any case, no criterion whatever of ability to pay. The extremely popular ability-to-pay idea was sanctified by Adam Smith in his most important canon of taxation and has been accepted blindly ever since. While much criticism has been levelled at its inherent vagueness, hardly anyone has criticized the basic principle, despite the fact that no one has really grounded it in sound argument. Smith himself gave no reasoning to support this alleged principle, and few others have done so since. 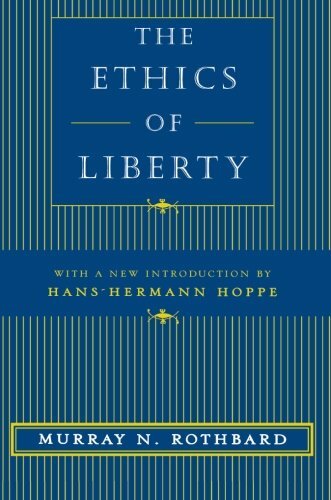 Due, in his text on public finance, simply accepts it because most people believe in it, thereby ignoring the possibility of any logical analysis of ethical principles. The only substantial attempt to give some rational support to the “ability-to-pay principle” rests on a strained comparison of tax payments to voluntary gifts to charitable organizations. Thus Groves writes: “To hundreds of common enterprises (community chests, Red Cross, etc.) people are expected to contribute according to their means. Governments are one of these common enterprises fostered to serve the citizens as a group….” Seldom have more fallacies been packed into two sentences. In the first place, the government is not a common enterprise akin to the community chest. No one can resign from it. No one, on penalty of imprisonment, can come to the conclusion that this “charitable enterprise” is not doing its job properly and therefore stop his “contribution”; no one can simply lose interest and drop out. If, as will be seen further below, the State cannot be described as a business, engaged in selling services on the market, certainly it is ludicrous to equate it to a charitable organization. Government is the very negation of charity, for charity is uniquely an unbought gift, a freely flowing uncoerced act by the giver. The word “expected” in Groves’ phrase is misleading. No one is forced to give to any charity in which he is not interested or which he believes is not doing its job properly. Contributions to support the church or the community chest are expected, not on the basis of benefits which individual members receive from the organization, but upon the basis of their ability to contribute. Furthermore, if we compare taxation with the market, we find no basis for adopting the “ability-to-pay” principle. On the contrary, the market price (generally considered the just price) is almost always uniform or tending toward uniformity. Market prices tend to obey the rule of one price throughout the entire market. Everyone pays an equal price for a good regardless of how much money he has or his “ability to pay.” Indeed, if the “ability-to-pay” principle pervaded the market, there would be no point in acquiring wealth, for everyone would have to pay more for a product in proportion to the money in his possession. Money incomes would be approximately equalized, and, in fact, there would be no point at all to acquiring money, since the purchasing power of a unit of money would never be definite but would drop, for any man, in proportion to the quantity of money he earns. A person with less money would simply find the purchasing power of a unit of his money rising accordingly. Therefore, unless trickery and black marketeering could evade the regulations, establishing the “ability-to-pay” principle for prices would wreck the market altogether. 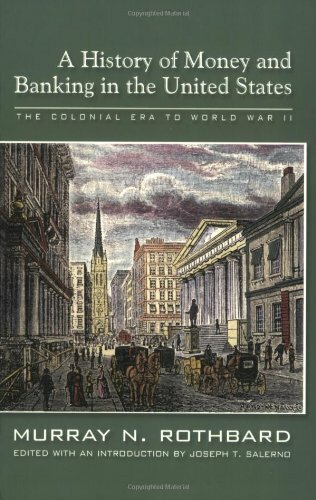 The wrecking of the market and the monetary economy would plunge society back to primitive living standards and, of course, eliminate a large part of the current world population, which is permitted to earn a subsistence living or higher by virtue of the existence of the modern, developed market. It should be clear, moreover, that establishing equal incomes and wealth for all (e.g., by taxing all those over a certain standard of income and wealth, and subsidizing all those below that standard) would have the same effect, since there would be no point to anyone’s working for money. Those who enjoy performing labor will do so only “at play,” i.e., without obtaining a monetary return. 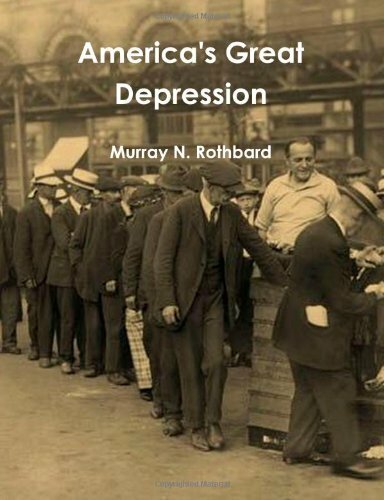 Enforced equality of income and wealth, therefore, would return the economy to barbarism. If taxes were to be patterned after market pricing, then, taxes would be levied equally (not proportionately) on everyone. As will be seen below, equal taxation differs in critical respects from market pricing but is a far closer approximation to it than is “ability-to-pay” taxation. Finally, the “ability-to-pay” principle means precisely that the able are penalized, i.e., those most able in serving the wants of their fellow men. Penalizing ability in production and service diminishes the supply of the service  and in proportion to the extent of that ability. The result will be impoverishment, not only of the able, but of the rest of society, which benefits from their services. The “ability-to-pay” principle, in short, cannot be simply assumed; if it is employed, it must be justified by logical argument, and this economists have yet to provide. Rather than being an evident rule of justice, the “ability-to-pay” principle resembles more the highwayman’s principle of taking where the taking is good. that everyone has the same utility-of-money schedule. The first premise is valid (but only in an ordinal sense), but the second and third are nonsensical. The marginal utility of money does diminish, but it is impossible to compare one person’s utilities with another, let alone believe that everyone’s valuations are identical. Utilities are not quantities, but subjective orders of preference. Any principle for distributing the tax burden that rests on such assumptions must therefore be declared fallacious. Happily, this truth is now generally established in the economic literature. Since the nub of the sacrifice theory  interpersonal comparisons of utility  is now generally discarded, we shall not spend much time discussing the sacrifice doctrine in detail. However, several aspects of this theory are of interest. The sacrifice theory divides into two main branches: (1) the equal-sacrifice principle and (2) the minimum-sacrifice principle. The former states that every man should sacrifice equally in paying taxes; the latter, that society as a whole should sacrifice the least amount. Both versions abandon completely the idea of government as a supplier of benefits and treat government and taxation as simply a burden, a sacrifice that must be borne in the best way we know how. Here we have a curious principle of justice indeed  based on adjustment to hurt. We are faced again with that pons asinorum that defeats all attempts to establish canons of justice for taxation  the problem of the justice of taxation itself. The proponent of the sacrifice theory, in realistically abandoning unproved assumptions of benefit from taxation, must face and then founder on the question: If taxation is pure hurt, why endure it at all? The equal-sacrifice theory asks that equal hurt be imposed on all. As a criterion of justice, this is as untenable as asking for equal slavery. One interesting aspect of the equal-sacrifice theory, however, is that it does not necessarily imply progressive income taxation! For although it implies that the rich man should be taxed more than the poor man, it does not necessarily say that the former should be taxed more than proportionately. In fact, it does not even establish that all be taxed proportionately! In short, the equal-sacrifice principle may demand that a man earning $10,000 be taxed more than a man earning $1,000, but not necessarily that he be taxed a greater percentage or even proportionately. Depending on the shapes of the various “utility curves,” the equal-sacrifice principle may well call for regressive taxation under which a wealthier man would pay more in amount but less proportionately (e.g., the man earning $10,000 would pay $500, and the man earning $1,000 would pay $200). The more rapidly the utility of money declines, the more probably will the equal-sacrifice curve yield progressivity. A slowly declining utility-of-money schedule would call for regressive taxation. Argument about how rapidly various utility-of-money schedules decline is hopeless because, as we have seen, the entire theory is untenable. But the point is that even on its own grounds, the equal-sacrifice theory can justify neither progressive nor proportionate taxation. The minimum-sacrifice theory has often been confused with the equal-sacrifice theory. Both rest on the same set of false assumptions, but the minimum-sacrifice theory counsels very drastic progressive taxation. Suppose, for example, that there are two men in a community, Jones making $50,000, and Smith making $30,000. The principle of minimum social sacrifice, resting on the three assumptions described above, declares: $1.00 taken from Jones imposes less of a sacrifice than $1.00 taken from Smith; hence, if the government needs $1.00, it takes it from Jones. But suppose the government needs $2.00; the second dollar will impose less of a sacrifice on Jones than the first dollar taken from Smith, for Jones still has more money left than Smith and therefore sacrifices less. This continues as long as Jones has more money remaining than Smith. Should the government need $20,000 in taxes, the minimum-sacrifice principle counsels taking the entire $20,000 from Jones and zero from Smith. In other words, it advocates taking all of the highest incomes in turn until governmental needs are fulfilled. The minimum-sacrifice principle depends heavily, as does the equal-sacrifice theory, on the untenable view that everyone’s utility-of-money schedule is roughly identical. Both rest also on a further fallacy, which now must be refuted: that “sacrifice” is simply the obverse of the utility of money. For the subjective sacrifice in taxation may not be merely the opportunity cost forgone of the money paid; it may also be increased by moral outrage at the tax procedure. Thus, Jones may become so morally outraged at the above proceedings that his marginal subjective sacrifice quickly becomes very great, much “greater” than Smith’s if we grant for a moment that the two can be compared. Once we see that subjective sacrifice is not necessarily tied to the utility of money, we may extend the principle further. Consider, for example, a philosophical anarchist who opposes all taxation fervently. Suppose that his subjective sacrifice in the payment of any tax is so great as to be almost infinite. In that case, the minimum-sacrifice principle would have to exempt the anarchist from taxation, while the equal-sacrifice principle could tax him only an infinitesimal amount. Practically, then, the sacrifice principle would have to exempt the anarchist from taxation. Furthermore, how can the government determine the subjective sacrifice of the individual? By asking him? In that case, how many people would refrain from proclaiming the enormity of their sacrifice and thus escape payment completely? It is clear that the proponents of the ability-to-pay and sacrifice theories have completely failed to establish them as criteria of just taxation. These theories also commit a further grave error. For the sacrifice theory explicitly, and the ability-to-pay theory implicitly, set up presumed criteria for action in terms of sacrifice and burden. The State is assumed to be a burden on society, and the question becomes one of justly distributing this burden. But man is constantly striving to sacrifice as little as he can for the benefits he receives from his actions. Yet here is a theory that talks only in terms of sacrifice and burden, and calls for a certain distribution without demonstrating to the taxpayers that they are benefiting more than they are giving up. Since the theorists do not so demonstrate, they can make their appeal only in terms of sacrifice  a procedure that is praxeologically invalid. Since men always try to find net benefits in a course of action, it follows that a discussion in terms of sacrifice or burden cannot establish a rational criterion for human action. To be praxeologically valid, a criterion must demonstrate net benefit. It is true, of course, that the proponents of the sacrifice theory are far more realistic than the proponents of the benefit theory (which we shall discuss below), in considering the State a net burden on society rather than a net benefit; but this hardly demonstrates the justice of the sacrifice principle of taxation. Quite the contrary. The benefit principle differs radically from the two preceding criteria of taxation. For the sacrifice and ability-to-pay principles depart completely from the principles of action and the accepted criteria of justice on the market. On the market people act freely in those ways which they believe will confer net benefits upon them. The result of these actions is the monetary exchange system, with its inexorable tendency toward uniform pricing and the allocation of productive factors to satisfy the most urgent demands of all the consumers. Yet the criteria used in judging taxation differ completely from those which apply to all other actions on the market. Suddenly free choice and uniform pricing are forgotten, and the discussion is all in terms of sacrifice, burden, etc. If taxation is only a burden, it is no wonder that coercion must be exercised to maintain it. The benefit principle, on the other hand, is an attempt to establish taxation on a similar basis as market pricing; that is, the tax is to be levied in accordance with the benefit received by the individual. It is an attempt to achieve the goal of a neutral tax, one that would leave the economic system approximately as it is on the free market. It is an attempt to achieve praxeological soundness by establishing a criterion of payment on the basis of benefit rather than sacrifice. The great gulf between the benefit and other principles was originally unrecognized, because of Adam Smith’s confusion between ability to pay and benefit. In the quotation cited above, Smith inferred that everyone benefits from the State in proportion to his income and that this income establishes his ability to pay. Therefore, a tax on his ability to pay will simply be a quid pro quo in exchange for benefits conferred by the State. Some writers have contended that people benefit from government in proportion to their income; others, that they benefit in increased proportion to their income, thus justifying a progressive income tax. Yet this entire application of the benefit theory is nonsensical. How do the rich reap a greater benefit proportionately, or even more than proportionately, from government than the poor? They could do so only if the government were responsible for these riches by a grant of special privilege, such as a subsidy, a monopoly grant, etc. Otherwise, how do the rich benefit? From “welfare” and other redistributive expenditures, which take from the rich and give to the bureaucrats and the poor? Certainly not. From police protection? But it is precisely the rich who could more afford to pay for their own protection and who therefore derive less benefit from it than the poor. The benefit theory holds that the rich benefit more from protection because their property is more valuable; but the cost of protection may have little relation to the value of the property. Since it costs less to police a bank vault containing $100 million than to guard 100 acres of land worth $10 per acre, the poor landowner receives a far greater benefit from the State’s protection than the rich owner of personalty. Neither would it be relevant to say that A earns more money than B because A receives a greater benefit from “society” and should therefore pay more in taxes. In the first place, everyone participates in society. The fact that A earns more than B means precisely that A’s services are individually worth more to his fellows. Therefore, since A and B benefit similarly from society’s existence, the reverse argument is far more accurate: that the differential between them is due to A’s individual superiority in productivity, and not at all to “society.” Secondly, society is not at all the State, and the State’s possible claim must be independently validated. Hence, neither proportionate nor progressive income taxation can be sustained on benefit principles. In fact, the reverse is true. If everyone were to pay in accordance with benefit received, it is clear that (a) the recipients of “welfare” benefits would bear the full costs of these benefits: the poor would have to pay for their own doles (including, of course, the extra cost of paying the bureaucracy for making the transfers); (b) the buyers of any government service would be the only payers, so that government services could be financed out of a general tax fund; and (c) for police protection, a rich man would pay less than a poor man, and less in absolute amounts. Furthermore, landowners would pay more than owners of intangible property, and the weak and infirm, who clearly benefit more from police protection than the strong, would have to pay higher taxes than the latter. It becomes immediately clear why the benefit principle has been practically abandoned in recent years. For it is evident that if (a) welfare recipients and (b) receivers of other special privilege, such as monopoly grants, were to pay according to the benefit received, there would not be much point in either form of government expenditure. And if each were to pay an amount equal to the benefit he received rather than simply proportionately (and he would have to do so because there would be nowhere else for the State to turn for funds), then the recipient of the subsidy would not only earn nothing, but would have to pay the bureaucracy for the cost of handling and transfer. The establishment of the benefit principle would therefore result in a laissez-faire system, with government strictly limited to supplying defense service. And the taxation for this defense service would be levied more on the poor and the infirm than on the strong and the rich. At first sight, the believer in the free market, the seeker after a neutral tax, is inclined to rejoice. It would seem that the benefit principle is the answer to his search. And this principle is indeed closer to market principles than the previous alleged canons. Yet, if we pursue the analysis more closely, it will be evident that the benefit principle is still far from market neutrality. On the market, people do not pay in accordance with individual benefit received; they pay a uniform price, one that just induces the marginal buyer to participate in the exchange. The more eager do not pay a higher price than the less eager; the chess addict and the indifferent player pay the same price for the same chess set, and the opera enthusiast and the novice pay the same price for the same ticket. The poor and the weak would be most eager for protection, but, in contrast to the benefit principle, they would not pay more on the market. There are even graver defects in the benefit principle. For market exchanges (a) demonstrate benefit and (b) only establish the fact of benefit without measuring it. The only reason we know that A and B benefit from an exchange is that they voluntarily make the exchange. In this way, the market demonstrates benefit. But where taxes are levied, the payment is compulsory, and therefore benefit can never be demonstrated. As a matter of fact, the existence of coercion gives rise to the opposite presumption and implies that the tax is not a benefit, but a burden. If it really were a benefit, coercion would not be necessary. Secondly, the benefit from exchange can never be measured or compared interpersonally. The “consumers’ surplus” derived from exchange is purely subjective, nonmeasurable, and noncomparable scientifically. Therefore, we never know what these benefits are, and hence there can be no way of allocating the taxes in accordance with them. Thirdly, on the market everyone enjoys a net benefit from an exchange. A person’s benefit is not equal to his cost, but greater. Therefore, taxing away his alleged benefit would completely violate market principles. Finally, if each person were taxed according to the benefit he receives from government, it is obvious that, since the bureaucracy receive all their income from this source, they would, like other recipients of subsidy and privilege, be obliged to return their whole salary to the government. The bureaucracy would have to serve without pay. We have seen that the benefit principle would dispense with all subsidy expenditures of whatever type. Government services would have to be sold directly to buyers; but in that case, there would be no room for government ownership, for the characteristic of a government enterprise is that it is launched from tax funds. Police and judicial services are often declared by the proponents of the benefit principle to be inherently general and unspecialized, so that they would need to be purchased out of the common tax fund rather than by individual users. However, as we have seen, this assumption is incorrect; these services can be sold on the market like any others. Thus, even in the absence of all other deficiencies of the benefit principle, it would still establish no warrant for taxation at all, for all services could be sold on the market directly to beneficiaries. It is evident that while the benefit principle attempts to meet the market criterion of limiting payment solely to beneficiaries, it must be adjudged a failure; it cannot serve as a criterion for a neutral tax or any other type of taxation. Equality of taxation has far more to commend it than any of the above principles, none of which can be used as a canon of taxation. “Equality of taxation” means just that  a uniform tax on every member of the society. This is also called a head tax, capitation tax, or poll tax. (The latter term, however, is best used to describe a uniform tax on voting, which is what the poll tax has become in various American states.) Each person would pay the same tax annually to the government. The equal tax would be particularly appropriate in a democracy, with its emphasis on equality before the law, equal rights, and absence of discrimination and special privilege. It would embody the principle: “One vote, one tax.” It would appropriately apply only to the protection services of the government, for the government is committed to defending everyone equally. Therefore, it may seem just for each person to be taxed equally in return. The principle of equality would rule out, as would the benefit principle, all government actions except defense, for all other expenditures would set up a special privilege or subsidy of some kind. Finally, the equal tax would be far more nearly neutral than any of the other taxes considered, for it would attempt to establish an equal “price” for equal services rendered. One school of thought challenges this contention and asserts that a proportional tax would be more nearly neutral than an equal tax. The proponents of this theory point out that an equal tax alters the market’s pattern of distribution of income. Thus, if A earns 1,000 gold ounces per year, B earns 200 ounces, and C earns 50 ounces, and each pays 10 ounces in taxes, then the relative proportion of net income remaining after taxes is altered, and altered in the direction of greater inequality. A proportionate tax of a fixed percentage on all three would leave the distribution of income constant and would therefore be neutral relative to the market. This thesis misconceives the whole problem of neutrality in taxation. The object of the quest is not to leave the income distribution the same as if a tax had not been imposed. The object is to affect the income “distribution” and all other aspects of the economy in the same way as if the tax were really a free-market price. And this is a very different criterion. No market price leaves relative income “distribution” the same as before. If the market really behaved in this way, there would be no advantage in earning money, for people would have to pay proportionately higher prices for goods in accordance with the level of their earnings. The market tends toward uniformity of pricing and hence toward equal pricing for equal service. Equal taxation, therefore, would be far more nearly neutral and would constitute a closer approach to a market system. The equal-tax criterion, however, has many grave defects, even as an approach toward a neutral tax. In the first place, the market criterion of equal price for equal service faces the problem: What is an “equal service”? The service of police protection is of far greater magnitude in an urban crime area than it is in some sleepy backwater. That service is worth far more in the crime center, and therefore the price paid will tend to be greater in a crime-ridden area than in a peaceful area. It is very likely that, in the purely free market, police and judicial services would be sold like insurance, with each member paying regular premiums in return for a call on the benefits of protection when needed. It is obvious that a more risky individual (such as one living in a crime area) would tend to pay a higher premium than individuals in another area. To be neutral, then, a tax would have to vary in accordance with costs and not be uniform. Equal taxation would distort the allocation of social resources in defense. The tax would be below the market price in the crime areas and above the market price in the peaceful areas, and there would therefore be a shortage of police protection in the dangerous areas and a surplus of protection in the others. Another grave flaw of the equal-tax principle is the same that we noted in the more general principle of uniformity: no bureaucrat can pay taxes. An “equal tax” on a bureaucrat or politician is an impossibility, because he is one of the tax consumers rather than taxpayers. Even when all other subsidies are eliminated, the government employee remains a permanent obstacle in the path of equal tax. As we have seen, the bureaucrat’s “tax payment” is simply a meaningless bookkeeping device. These flaws in the equal tax cause us to turn to the last remaining tax canon: the cost principle. The cost principle would apply as we have just discussed it, with the government setting the tax in accordance with costs, like the premiums charged by an insurance company. The cost principle would constitute the closest approach possible to neutrality of taxation. Yet even the cost principle has fatal flaws that finally eliminate it from consideration. In the first place, although the costs of nonspecific factors could be estimated from market knowledge, the costs of specific factors could not be determined by the State. The impossibility of calculating specific costs stems from the fact that products of tax-supported firms have no real market price, and so specific costs are unknown. As a result, the cost principle cannot be accurately put into effect. 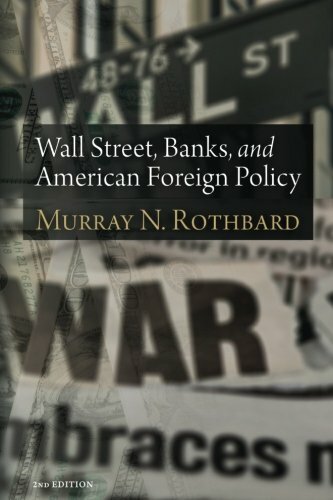 The cost principle is further vitiated by the fact that a compulsory monopoly  such as State protection  will invariably have higher costs and sell lower-quality service than freely competitive defense firms on the market. As a result, costs will be much higher than on the market, and, again, the cost principle offers no guide to a neutral tax. A final flaw is common to both the equality and the cost theories of taxation. In neither case is benefit demonstrated as accruing to the taxpayer. Although the taxpayer is blithely assumed to be benefiting from the service just as he does on the market, we have seen that such an assumption cannot be made  that the use of coercion presumes quite the contrary for many taxpayers. The market requires a uniform price, or the exact covering of costs, only because the purchaser voluntarily buys the product in the expectation of being benefited. The State, on the other hand, would force people to pay the tax even if they were not voluntarily willing to pay the cost of this or any other defense system. Hence, the cost principle can never provide a route to the neutral tax. A slogan popular among many “right-wing” economists is that taxation should be for “revenue only,” and not for broad social purposes. On its face, this slogan is simply and palpably absurd, since all taxes are levied for revenue. What else can taxation be called but the appropriation of funds from private individuals by the State for its own purposes? Some writers therefore amend the slogan to say: Taxation should be limited to revenue essential for social services. But what are social services? To some people, every conceivable type of government expenditure appears as a “social service.” If the State takes from A and gives to B, C may applaud the act as a “social service” because he dislikes something about the former and likes something about the latter. If, on the other hand, “social service” is limited by the “unanimity rule” to apply only to those activities that serve some individuals without making others pay, then the “taxation-for-revenue-only” formula is simply an ambiguous term for the benefit or the cost principles. that the neutral tax, which seems to many a valid ideal, turns out to be conceptually impossible to achieve. Economists must therefore abandon their futile quest for the just, or the neutral, tax. Some may ask: Why does anyone search for a neutral tax? Why consider neutrality an ideal? 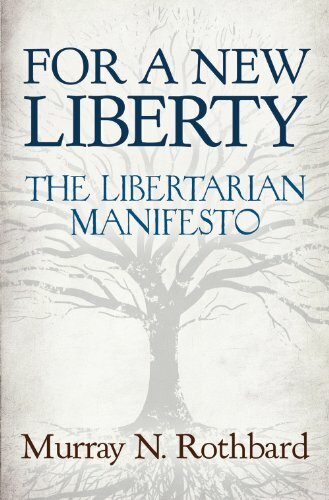 The answer is that all services, all activities, can be provided in two ways only: by freedom or by coercion. The former is the way of the market; the latter, of the State. If all services were organized on the market, the result would be a purely free-market system; if all were organized by the State, the result would be socialism (see below). Therefore, all who are not full socialists must concede some area to market activity, and, once they do so, they must justify their departures from freedom on the basis of some principle or other. In a society where most activities are organized on the market, advocates of State activity must justify departures from what they themselves concede to the market sphere. Hence, the use of neutrality is a benchmark to answer the question: Why do you want the State to step in and alter market conditions in this case? If market prices are uniform, why should tax payments be otherwise? But if neutral taxation is, at bottom, impossible, there are two logical courses left for advocates of the neutral tax: either abandon the goal of neutrality, or abandon taxation itself. A few writers, disturbed by the compulsion necessary to the existence of taxation, have advocated that governments be financed, not by taxation, but by some form of voluntary contribution. Such voluntary contribution systems could take various forms. One was the method relied on by the old city-state of Hamburg and other communities  voluntary gifts to the government. For five years it was the good fortune of the present writer to be domiciled in one of these communities. Incredible as it may seem to believers in the necessity of a legal enforcement of taxes by pains and penalties, he was for that period … his own assessor and his own tax-gatherer. In common with the other citizens, he was invited, without sworn statement or declaration, to make such contribution to the public charges as seemed to himself just and equal. That sum, uncounted by any official, unknown to any but himself, he was asked to drop with his own hand into a strong public chest; on doing which his name was checked off the list of contributors…. Every citizen felt a noble pride in such immunity from prying assessors and rude constables. Every annual call of the authorities on that community was honored to the full. The gift method, however, presents some serious difficulties. In particular, it continues that disjunction between payment and receipt of service which constitutes one of the great defects of a taxing system. Under taxation, payment is severed from receipt of service, in striking contrast to the market where payment and service are correlative. The voluntary gift method perpetuates this disjunction. As a result, A, B, and C continue to receive the government’s defense service even if they paid nothing for it, and only D and E contributed. D’s and E’s contributions, furthermore, may be disproportionate. It is true that this is the system of voluntary charity on the market. But charity flows from the more to the less wealthy and able; it does not constitute an efficient method for organizing the general sale of a service. Automobiles, clothes, etc., are sold on the market on a regular uniform-price basis and are not indiscriminately given to some on the basis of gifts received from others. 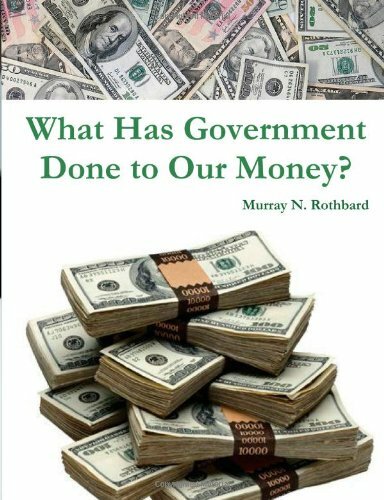 Under the gift system people will tend to demand far more defense service from the government than they are willing to pay for; and the voluntary contributors, getting no direct reward for their money, will tend to reduce their payment. In short, where service (such as defense) flows to people regardless of payment, there will tend to be excessive demands for service, and an insufficient supply of funds to sustain it. When the advocates of taxation, therefore, contend that a voluntary society could never efficiently finance defense service because people would evade payment, they are correct insofar as their strictures apply to the gift method of finance. The gift method, however, hardly exhausts the financing methods of the purely free market. A step in the direction of greater efficiency would have the defense agency charging a set price instead of accepting haphazard amounts varying from the very small to the very large, but continuing to supply defense indiscriminately. Of course, the agency would not refuse gifts for general purposes or for granting a supply of defense service to poor people. But it would charge some minimum price commensurate with the cost of its service. One such method is a voting tax, now known as a poll tax. A poll tax, or voting tax, is not really a “tax” at all; it is only a price charged for participating in the State organization. Only those who voluntarily vote for State officials, i.e., who participate in the State machinery, are required to pay the tax. If all the State’s revenues were derived from poll taxes, therefore, this would not be a system of taxation at all, but rather voluntary contributions in payment for the right to participate in the State’s machinery. The voting tax would be an improvement over the gift method because it would charge a certain uniform or minimal amount. To the proposal to finance all government revenues from poll taxes it has been objected that practically no one would vote under these conditions. This is perhaps an accurate prediction, but curiously the critics of the poll tax never pursue their analysis beyond this point. It is clear that this reveals something very important about the nature of the voting process. his aliquot power over the final decision is so small that his abstention from voting would make no appreciable difference to the final outcome. In short, in contrast to all other choices a man may make, in political voting he has practically no power over the outcome, and the outcome would make little direct difference to him anyway. It is no wonder that well over half the eligible American voters persistently refuse to take part in the annual November balloting. This discussion also illuminates a puzzling phenomenon in American political life  the constant exhortation by politicians of all parties for people to vote: “We don’t care how you vote, but vote!” is a standard political slogan. On its face, it makes little sense, for one would think that at least one of the parties would see advantages in a small vote. But it does make a great deal of sense when we realize the enormous desire of politicians of all parties to make it appear that the people have given them a “mandate” in the election  that all the democratic shibboleths about “representing the people,” etc., are true. The reason for the relative triviality of voting is, once again, the disjunction between voting and payment, on the one hand, and benefit on the other. The poll tax gives rise to the same problem. The voter, with or without paying a poll tax, receives no more benefit in protection than the nonvoter. Consequently, people will refuse to vote in droves under a single poll-tax scheme, and everyone will demand the use of the artificially free defense resources. Both the gift and the voting-tax methods of voluntary financing of government, therefore, must be discarded as inefficient. A third method has been proposed, which we can best call by the paradoxical name voluntary taxation. The plan envisioned is as follows: Every land area would, as now, be governed by one monopolistic State. The State’s officials would be chosen by democratic voting, as at present. The State would set a uniform price, or perhaps a set of cost prices, for protective services, and it would be left to each individual to make a voluntary choice whether to pay or not to pay the price. If he pays the price, he receives the benefit of governmental defense service; if he does not, he goes unprotected. 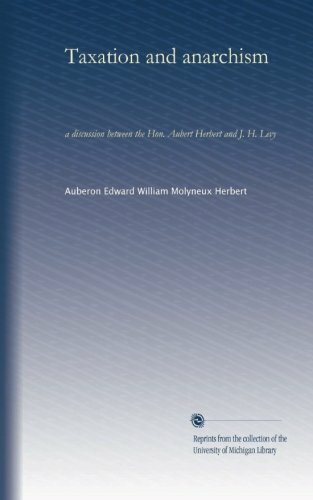 The leading “voluntary taxationists” have been Auberon Herbert, his associate, J. Greevz Fisher, and (sometimes) Gustave de Molinari. 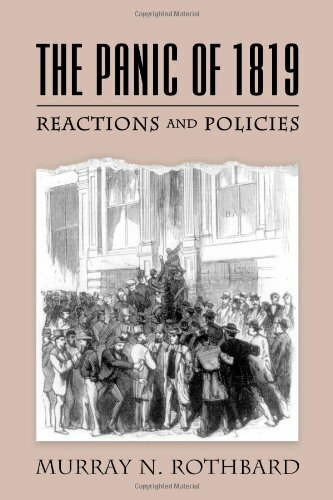 The same position is found earlier, to a far less developed extent, in the early editions of Herbert Spencer’s Social Statics, particularly his chapter on the “Right to Ignore the State,” and in Thoreau’s Essay on Civil Disobedience. The voluntary taxation method preserves a voluntary system, is (or appears to be) neutral vis-à-vis the market, and eliminates the payment-benefit disjunction. And yet this proposal has several important defects. Its most serious flaw is inconsistency. For the voluntary taxationists aim at establishing a system in which no one is coerced who is not himself an invader of the person or property of others. Hence their complete elimination of taxation. But, although they eliminate the compulsion to subscribe to the government defense monopoly, they yet retain that monopoly. They are therefore faced with the problem: Would they use force to compel people not to use a freely competing defense agency within the same geographic area? The voluntary taxationists have never attempted to answer this problem; they have rather stubbornly assumed that no one would set up a competing defense agency within a State’s territorial limits. And yet, if people are free to pay or not to pay “taxes,” it is obvious that some people will not simply refuse to pay for all protection. Dissatisfied with the quality of defense they receive from the government, or with the price they must pay, they will elect to form a competing defense agency or “government” within the area and subscribe to it. The voluntary taxation system is thus impossible of attainment because it would be in unstable equilibrium. If the government elected to outlaw all competing defense agencies, it would no longer function as the voluntary society sought by its proponents. It would not force payment of taxes, but it would say to the citizens: “You are free to accept and pay for our protection or to abstain; but you are not free to purchase defense from a competing agency.” This is not a free market; this is a compulsory monopoly, once again a grant of monopoly privilege by the State to itself. Such a monopoly would be far less efficient than a freely competitive system; hence, its costs would be higher, its service poorer. It would clearly not be neutral to the market. While “the government” would cease to exist, the same cannot be said for a constitution or a rule of law, which, in fact, would take on in the free society a far more important function than at present. For the freely competing judicial agencies would have to be guided by a body of absolute law to enable them to distinguish objectively between defense and invasion. This law, embodying elaborations upon the basic injunction to defend person and property from acts of invasion, would be codified in the basic legal code. Failure to establish such a code of law would tend to break down the free market, for then defense against invasion could not be adequately achieved. On the other hand, those neo-Tolstoyan nonresisters who refuse to employ violence even for defense would not themselves be forced into any relationship with the defense agencies. 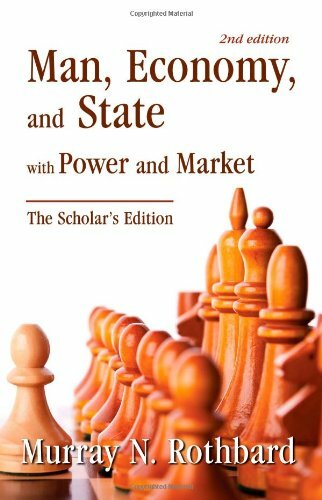 Thus, if a government based on voluntary taxation permits free competition, the result will be the purely free-market system outlined in chapter 1 above. The previous government would now simply be one competing defense agency among many on the market. It would, in fact, be competing at a severe disadvantage, having been established on the principle of “democratic voting.” Looked at as a market phenomenon, “democratic voting” (one vote per person) is simply the method of the consumer “co-operative.” Empirically, it has been demonstrated time and again that co-operatives cannot compete successfully against stock-owned companies, especially when both are equal before the law. There is no reason to believe that co-operatives for defense would be any more efficient. Hence, we may expect the old co-operative government to “wither away” through loss of customers on the market, while joint-stock (i.e., corporate) defense agencies would become the prevailing market form. 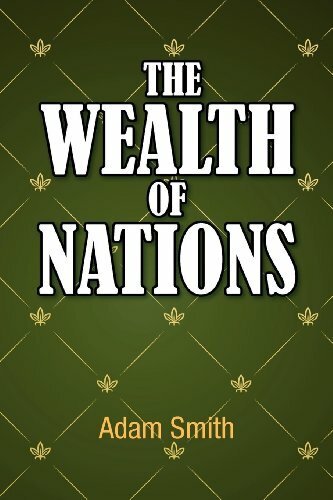 Adam Smith, The Wealth of Nations (New York: Modern Library, 1937), pp. 77779. See also Hunter and Allen, Principles of Public Finance, pp. 13740. This discussion applies to Professor Hayek’s adoption of the “rule of law” as the basic political criterion. F.A. 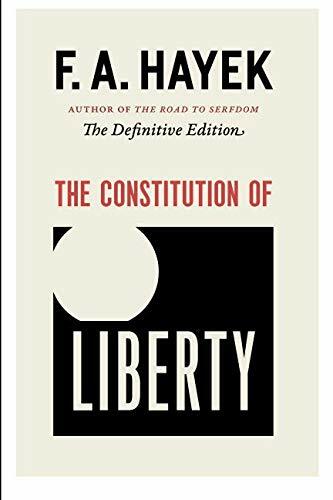 Hayek, The Constitution of Liberty (Chicago: University of Chicago Press, 1960). Mises, in Aaron Director, ed., Defense, Controls, and Inflation (Chicago: University of Chicago Press, 1952), pp. 11516. To say that an ethical goal is conceptually impossible is completely different from saying that its achievement is “unrealistic” because few people uphold it. The latter is by no means an argument against an ethical principle. Conceptual impossibility means that the goal could not be achieved even if everyone aimed at it. On the problem of “realism” in ethical goals, see the brilliant article by Clarence E. Philbrook, “‘Realism’ in Policy Espousal,” American Economic Review, December, 1953, pp. 84659. See Walter J. Blum and Harry Kalven, Jr., The Uneasy Case for Progressive Taxation (Chicago: University of Chicago Press, 1963), pp. 6468. Due, Government Finance, pp. 121ff. J.R. McCulloch, A Treatise on the Principle and Practical Influence of Taxation and the Funding System (London, 1845), p. 142. E.R.A. Seligman, Progressive Taxation in Theory and Practice (2nd ed. ; (New York: Macmillan & Co., 1908), pp. 29192. For an excellent critique of the Seligman theory, see Blum and Kalven, Uneasy Case for Progressive Taxation, pp. 6466. Due, Government Finance, p. 122. Groves, Financing Government, p. 36. Hunter and Allen, Principles of Public Finance, pp. 19091. 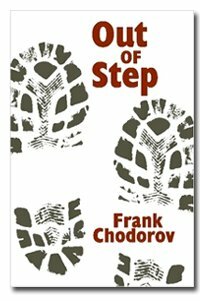 See Chodorov, Out of Step [also in PDF], p. 237. See also Chodorov, From Solomon’s Yoke to the Income Tax (Hinsdale, Ill.: Henry Regnery, 1947), p. 11. 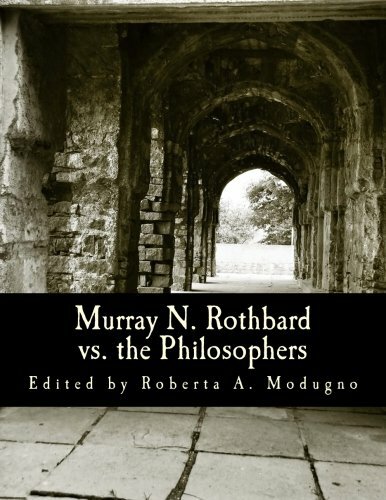 The acceptance of this critique dates from Robbins’ writings of the mid-1930’s. See Lionel Robbins, “Interpersonal Comparisons of Utility,” Economic Journal, December, 1938, pp. 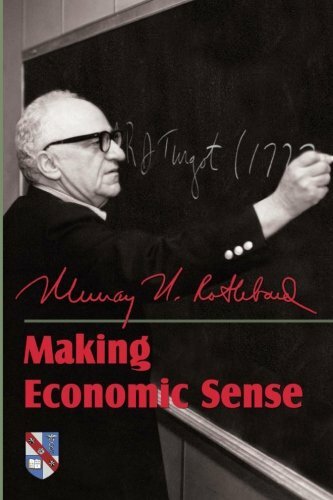 63541; and Robbins, An Essay on the Nature and Significance of Economic Science (2nd ed. ; London: Macmillan & Co., 1935), pp. 13841. 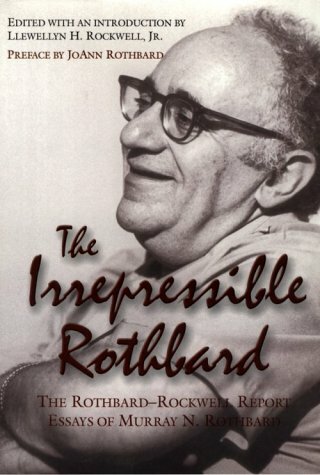 Robbins was, at that time, a decidedly “Misesian” economist. For a critique of sacrifice theory, see Blum and Kalven, Uneasy Case for Progressive Taxation, pp. 3963. For an attempt to establish proportional taxation on the basis of equal sacrifice, see Bradford B. Smith, Liberty and Taxes (Irvington-on-Hudson, N.Y.: Foundation for Economic Education, n.d.), pp. 1012. 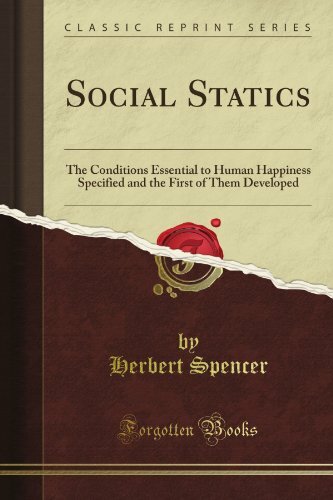 Pushed to its logical conclusion in which the State is urged to establish “maximum social satisfaction”  the obverse of minimum social sacrifice  the principle counsels absolute compulsory egalitarianism, with everyone above a certain standard taxed in order to subsidize everyone else to come up to that standard. The consequence, as we have seen, would be a return to the conditions of barbarism. The ability-to-pay principle is unclear on this point. Some proponents base their argument implicitly on sacrifice; others, on the necessity for payment for “untraceable” benefits. 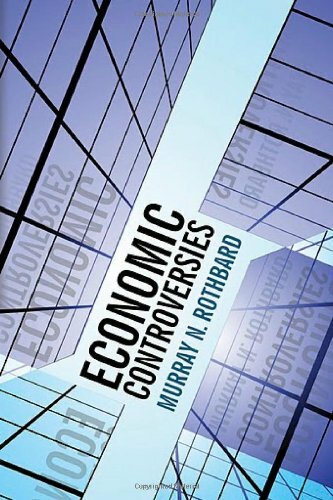 This does not concede that “costs” determine “prices.” The general array of final prices determines the general array of cost prices, but then the viability of firms is determined by whether the price people will pay for their products is enough to cover their costs, which are determined throughout the market. In equilibrium, costs and prices will all be equal. Since a tax is levied on general funds and therefore cannot be equivalent to market pricing, the only way to approximate market pricing is to set the tax according to costs, since costs at least reflect market pricing of the nonspecific factors. Yet their major criticism of the benefit principle is precisely that it requires the impossible measurement of subjective benefit. The cost principle, along with the benefit principle, dispenses with all government expenditures except laissez-faire ones, since each recipient would be required to pay the full cost of the service. With respect to the laissez-faire service of protection, however, the cost principle is clearly far superior to the benefit principle. The current poll tax began simply as a head tax, but in practice it is enforced only as a requirement for voting. It has therefore become a voting tax. See below on fees charged for government service. Voting, like taxation, is another activity generally phrased in terms of “duty” rather than benefit. The call to “duty” is as praxeologically unsound as the call to sacrifice and generally amounts to the same thing. For both exhortations tacitly admit that the actor will derive little or no benefit from his action. Further, the invocation of duty or sacrifice implies that someone else is going to receive the sacrifice or the payment of the “obligation”  and often that someone is the exhorter himself. Spencer, Social Statics; Herbert and Levy, Taxation and Anarchism; and Molinari, Society of Tomorrow. At other times, however, Molinari adopted the pure free-market position. Thus, see what may be the first developed outline of the purely libertarian system in Gustave de Molinari, “De la production de la sécurité,” Journal des Economistes, February, 1849, pp. 27790, and Molinari, “Onzième soirée” in Les soirées de la rue Saint Lazare (Paris, 1849). These corporations would not, of course, need any charter from a government but would “charter” themselves in accordance with the ways in which their owners decided to pool their capital. They could announce their limited liability in advance, and then all their creditors would be put amply on guard. There is a strong a priori reason for believing that corporations will be superior to cooperatives in any given situation. For if each owner receives only one vote regardless of how much money he has invested in a project (and earnings are divided in the same way), there is no incentive to invest more than the next man; in fact, every incentive is the other way. This hampering of investment militates strongly against the cooperative form.